The music video for 'National Anthem', in which Del Rey portrays Jackie Kennedy and Marilyn Monroe, and A$AP Rocky portrays John F. Kennedy. 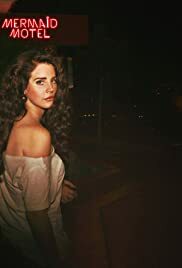 VHS footage of Lana Del Rey in the grass and brushing her hair is interspersed with footage of a tiger and highway lights. Del Rey plays a beauty queen with curly, thick brown hair in this web cam-shot video for "Mermaid Hotel". Clips of old films, paparazzi taking photographs in the 60s, Princess Diana's wedding, and Las Vegas casinos are shown throughout the video.